There isn’t a lot of new information so this is mostly a photo post of the FAMAE SAF series from SHOT 2015. To save a few of you time reading, no, there are not any prices yet available for civilian sales. 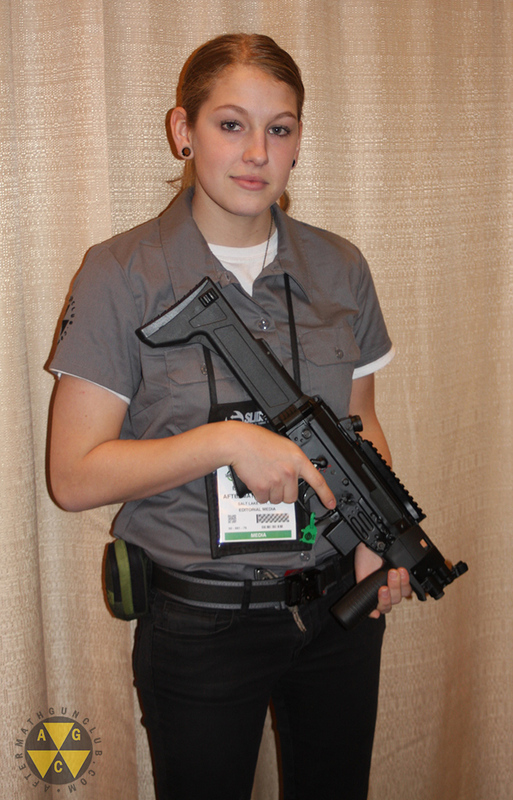 As I’m sure you know, the SIG SG540 was licensed to FAMAE and FAMAE later scaled it down to 9mm. Unlike the H&K scale down from the G3 to the MP5, FAMAE converted the sub-machine gun to direct blowback like a more traditional SMG. In production since 1993 the primary model (not shown) has a 7.8 inch barrel and is available with either a folding wire stock (SAF-10) or a polymer fixed stock (SAF-1). 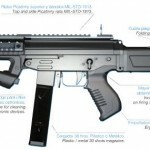 The standard SAF model will be imported in semi-automatic as a pistol without either stock. 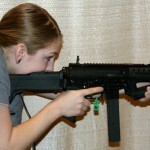 Stocks are planned to be imported and available to those that have their SBR approvals in hand. 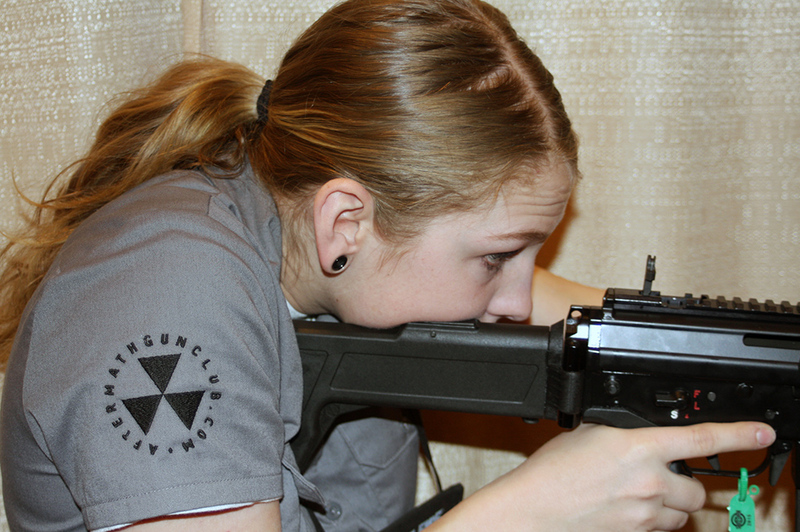 An “SD” select-fire model also exists with an integrated suppressor (not shown). 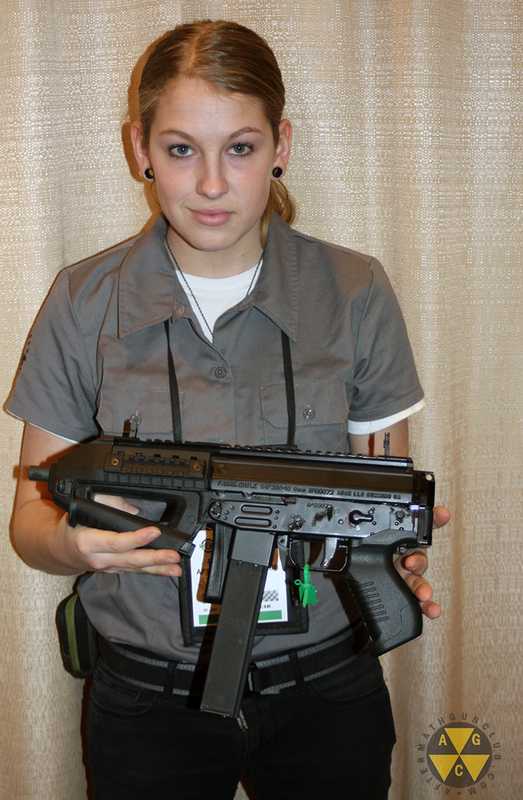 The MINI-SAF (shown below) is a shortened version of the subgun with a 4.5 inch barrel and an integrated vertical grip on the handguard. 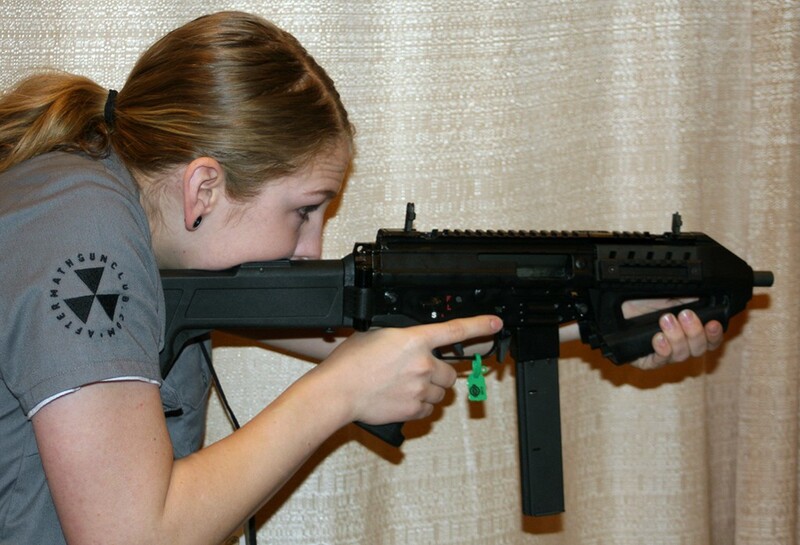 This model is sometimes listed as a “PDW” much like the MP5K-PDW, but the PDW classification has culturally changed to require the firearm to be armor-piercing and not just compact. 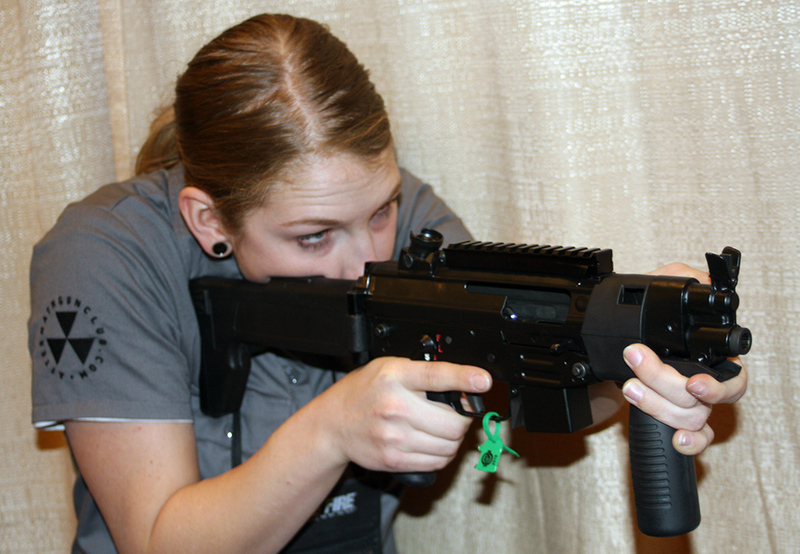 The MINI-SAF now includes an integrated optics rail and uses the newer polymer collapsing and folding stock first introduced on the SAF200. The MINI-SAF will be imported in select-fire for law enforcement and for civilians in as a pistol, like all imported semi-auto SAF models – and will also not be able to include the vertical grip as it would make the firearm a restricted AOW under the National Firearms Act. There is not enough extended room on the MINI-SAF to thread the barrel. 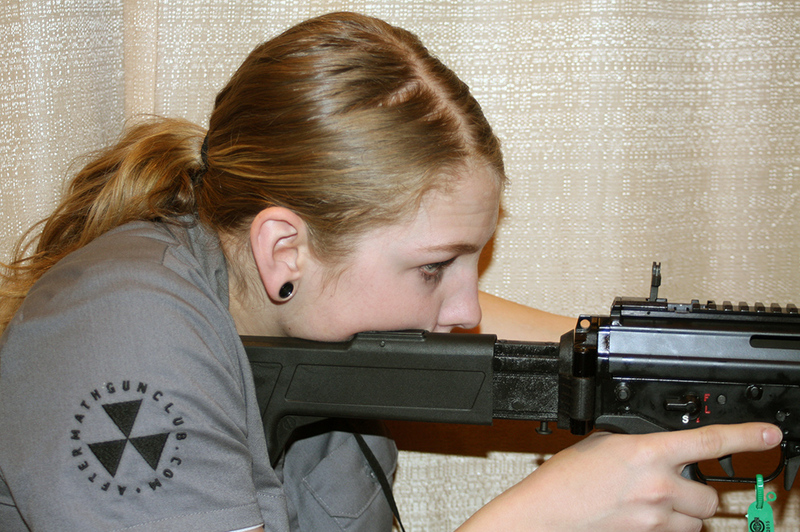 The SAF200 (aka SAF 200-10) has a longer and lower integrated optics rail, integrated backup flip-sights, and a handguard that has a grip angle that is similar to the Magpul VFG. 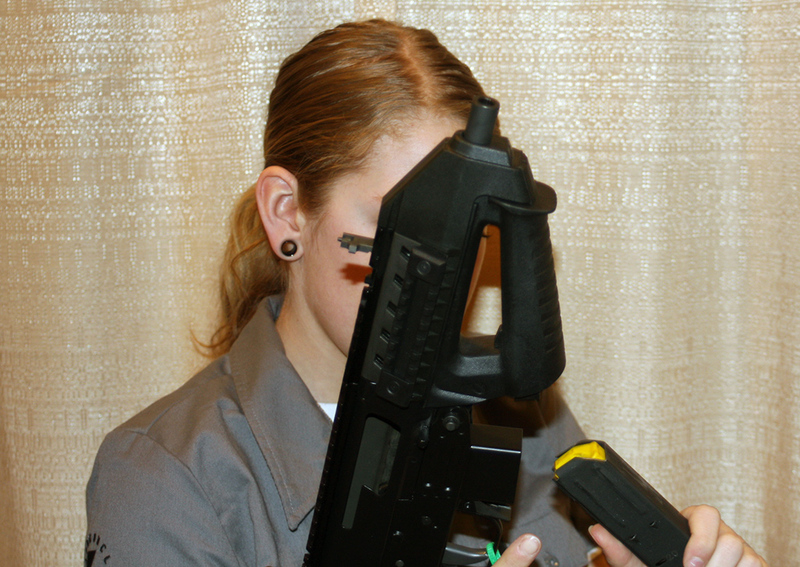 In fact, ATF may determine it to not be a vertical grip but the ATF opinion has not yet been decided. It appears there may be enough barrel on the SAF200 to thread the barrel. Unfortunately, the magwell would be a little nicer if it were flared for faster reloads. The stock is shown below both collapsed and opened. 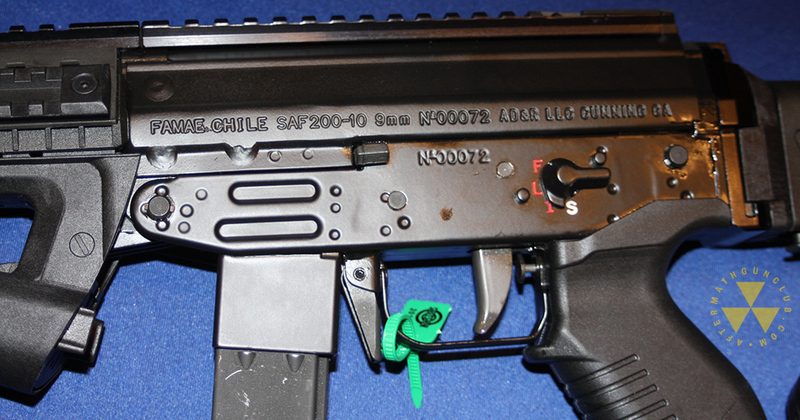 The SAF200 also has side rails on the handguard and an upgraded pistol grip. So to recap, the items approved for import to law enforcement and pending import for semi-auto civilian sales are the SAF, MINI-SAF, and SAF200 all in 9x19mm. The SAF “SD” with integrated suppressor will not be imported. The CT-30 in .30 Carbine and CT-40 in .40SW are not planned to be imported and the CT-30 may not even be in production currently.